This is a lovely property with a great location. The house was wonderful!! 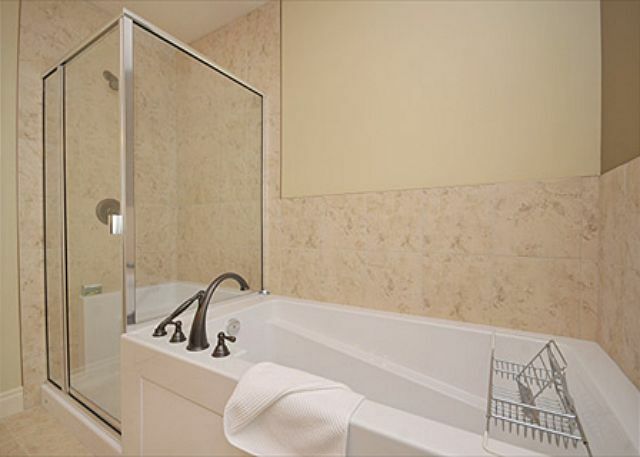 Very clean, lots of room and perfect location. Highly Recommend!!! It was lovely to be able to walk across the bridge to town and experience Victoria without needed to drive around. The accommodations were very comfortable. We loved our stay! The townhouse was in a wonderful location. The configuration of the space fit my family well. 3 bedrooms and 3 bathrooms was great. The overall appearance of the townhouse was ok, nothing special. The master bathroom toilet handle fell off but was fixed quickly. The 2 chairs on the upstairs deck were pretty disgusting and need to be replaced. The linens were ok but on the old and weary side. There really was only 1 working tv in the living room. The tv in the master bedroom was not hooked up to regular cable, only Netflix. Just 1 tv seems inadequate for a place this size. Didn't have the overall high quality I expected. Again, location, size and configuration are its best features. 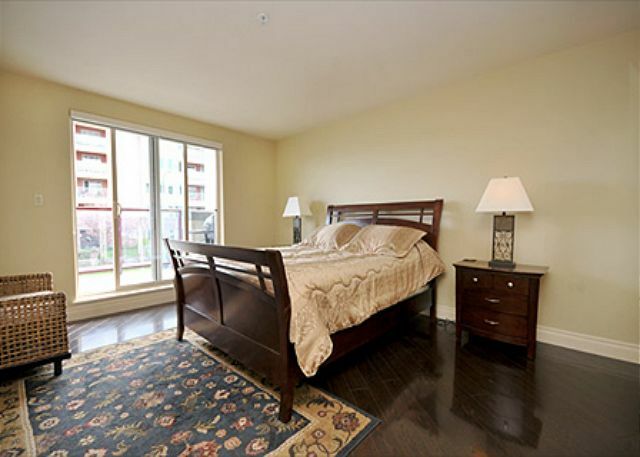 This is a clean nicely appointed condo in a great location. You know what they say, “location, location, location.” This House is it. A short walk, bike ride or pickle boat jaunt & you are across the river in the heart of the city. We were promptly greeted by our friendly property manager, who walked us thru the home & provided us great info on the city. 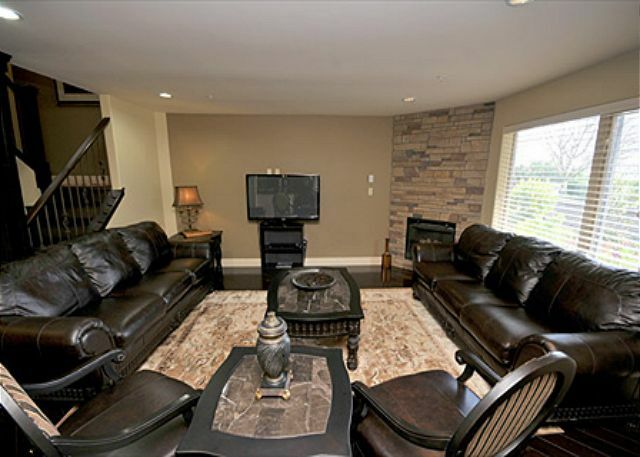 This is a beautiful 3 Bedroom, 3 Bath home so there is plenty of room to move around. 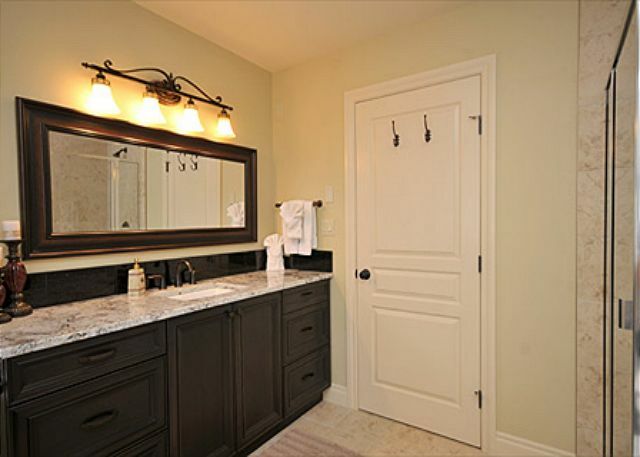 The home is tastefully decorated and nicely appointed. I hang everything so the abundance of hangers was a bonus. The area is quiet and a short walk down the street and you have quite the few of the area & you can watch the boats & seaplanes come & go. Felt very safe will all upstairs windows open. We made due but we encountered the same issue with parking as others had. The spaces they said were available for our vehicle never were. We lucked out with street parking during our visit. Honestly, our only complaint would be the water dispenser on the fridge. It took forever each time. We just need more patience. Overall this house is great & would love to come stay again. Stayed for 12 days during a world championship event. Well appointed accommodations. A sharp knife in the kitchen would help. A toaster that browns would enhance breakfasts. We got two sets of keys, but only one set was for this unit, not a big problem as the door has a numerical code. The clean up crew needs to be more diligent - dusty! Would I rent again - YES. -Needs a good cleaning. Dust, items of clothing under beds and couches, mold on bathroom shower curtain, spider webs on skylight, dead bugs on spotlight in dining room near fireplace. 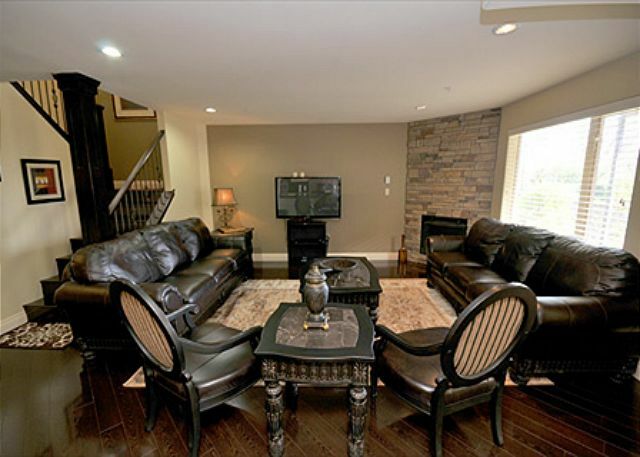 -Needs maintenance - under counter lighting not working, TV's and fireplaces not in working order when we arrived. Had to spend lots of time on phone trying to fix them. Doorbell not working. -Despite directions in binder telling us to park in stall #9 close to apartment that spot was not available. An angry resident knocked on our door to tell us that she had paid for that spot and that we should move our car. Had to move to visitor's parking which was not always available. 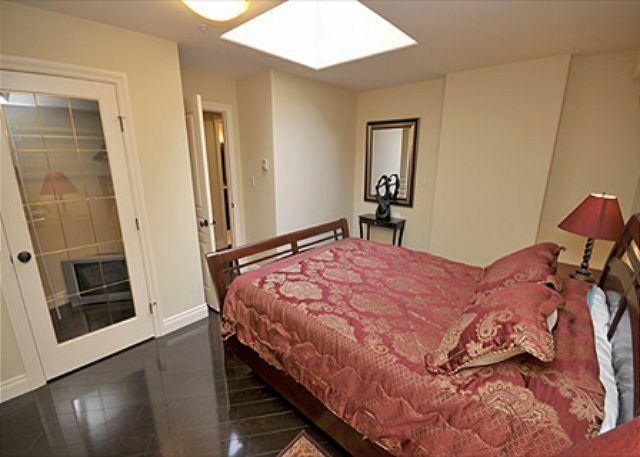 -Skylight in downstairs bedroom needs a blind to block out early morning light. All in all I think the good outweighed the bad. Could be wonderful if maintenance and cleanliness issues were addressed. Little things give the impression that the property is not cared for. This accommodation suited our family gathering very well. The beds and furniture were comfortable, the kitchen had ample dishes, cutlery, glasses, pots and pans etc. 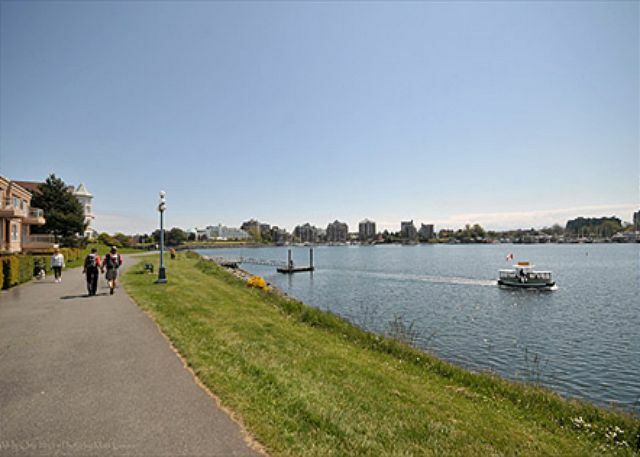 The location was excellent, we walked to the inner harbour in less than 10 minutes. Thank you for your kind review of Songhees at Oceanpoint. We are happy to hear that you enjoyed this property. We look forward to having you stay with us again in the future. Great location close to water and downtown. We did have trouble with the TVs - missing remote and couldn’t turn it off. Our experience as a family staying in this apartment was excellent. We enjoyed every bit of our sty. The facilities were all in excellent condition. Everything was working. The rooms and sitting rooms were in good condition. The kitchenette was perfect. It was a home away from home. Thank you for your review of Songhees at Oceanpoint, We are happy to hear that your stay at this property was so positive and we look forward to having you stay with us again in the future! This was for a family get together, since it was over Mother's Day, we had brunch at the Empress and visited Butchart Gardens - it was a wonderful trip. Thank you for your review of Songhees at Oceanpoint. We are happy to hear your mother's day weekend was so wonderful. We look forward to having you stay with us again in the future! We were a group of five adults in Victoria for a golf trip. The condo was in a great location with pretty much everything you would require. Nicely furnished, though the bedrooms and bathrooms are quite dark with the blinds closed which pretty much need to be as everyone could see in. Master only lit by lamps, and only one light fixture in bathroom that had a bulb burnt out. Parking was nonexistent, we had to park on the street, which proved to not be a big deal. Were given the opener for the lower gate and upper garage so couldn't use either. Small things like handle on master toilet fell off, one screw holding striker plate on downstair bathroom. No instruction for master TV, never did get it working. However that said the condo was perfect for our group, nice to walk downtown for meals etc, close to grocery stores. I would recommend it for a stay. Thank you for your review of Songhees at Ocean Point. Unfortunately, light bulbs can burn out at any time, and it was replaced up on your check out. We do keep a supply of bulbs in the hall closet. The toilet handle is repaired - thank you for letting us know. Apologies for the TV not working for you. There are two remotes that need to be used, one for shaw and one for the TV. There are two parking stalls with the property. There is a parking space in the upper area, perhaps parking instructions were not clear from your greeter? But .... happy that street parking was available for you. We look forward to having you stay with us again. Hope your golf games were successful! This was a very comfortable and well located rental. There were some issues with the fridge/freezer not working properly and one of the toilets, but they were looked at the next day and repaired. A great location for walking all around the harbour, to the museum, etc. and also for groceries. Thank you very much for your kind review of the Songhees at Oceanpoint. We are happy to know you enjoyed your stay . We hope to see you again in the future. The rental was fine however there were a few things out of order. The floors were extremely dirty and dusty with sawdust/powder on all the floors on both levels. The dryer in the unit doesnt work. After doing a large load of laundry we were left with towels and clothing that was soaked and no way to dry them. Also, there wasn't enough toilet paper to last the entire trip ( 3 days). Overall the place was fine. Large place close to downtown. Thank you very much for your kind review of the Songhees at Oceanpoint. We are happy to know you enjoyed your stay. Please call us during your stay to ensure you have an optimal experience if you discover anything missing and needs attention. We are quick to respond. We hope to see you again in the future. 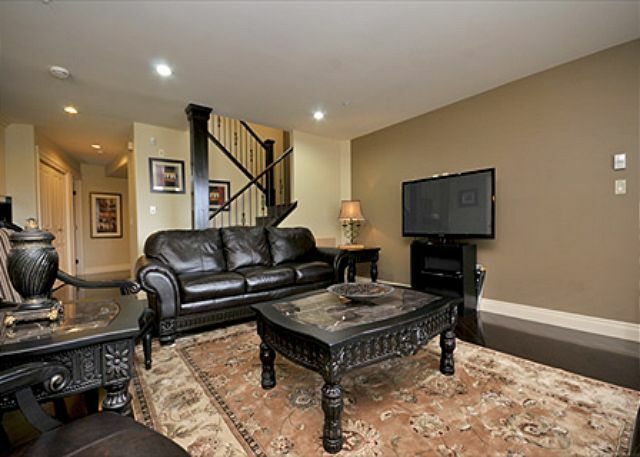 CONVENIENT LOCATION, VERY COMFORTABLE TOWNHOUSE. ALL AMENITIES INCLUDING PARKING. Thank you for your review of Songhees at Oceanpoint. We appreciate your review, and look forward to seeing you again soon. 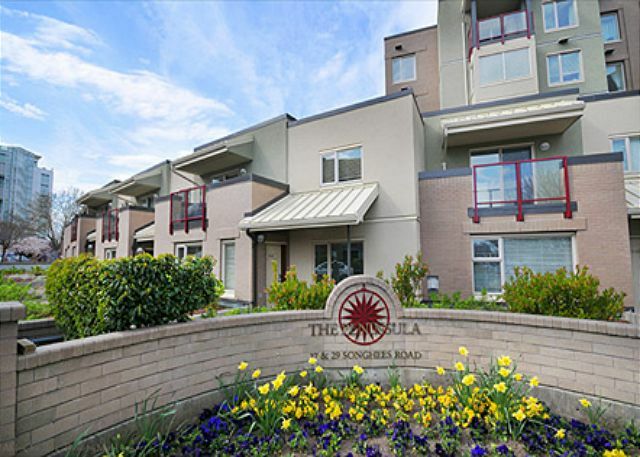 Thank you for your terrific review of the Songhees at Oceanpoint. We are very happy to know you enjoyed your stay. We hope to see you again in the future. Our vacation in Victoria, BCwas fabulous from the minute we arrived on the Clipper. The house we rented, 9-33 Songhees was perfect...well equipped, xonvenient, splotlessky clean and comfortable. our greeter, Jeannette gave us a wonderful welcome and overview of house and all the amenities. We even watched fireworks from the balcony on our last night. Perfect vacation. Thank you for your terrific review. We are very happy to know you enjoyed your stay in the property. We look forward to seeing you again in the future. Very nice place I would recommend to anyone.great location. 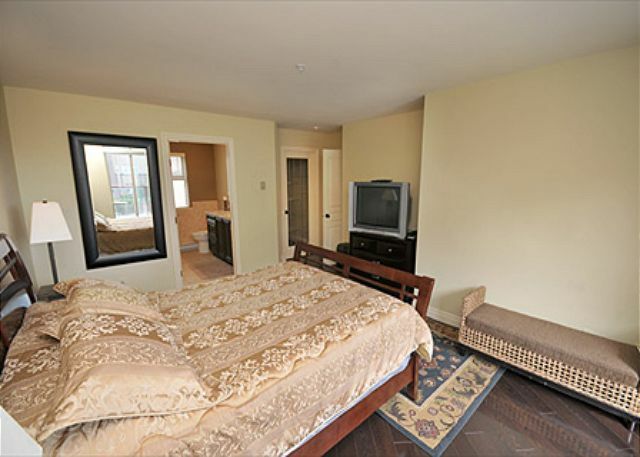 The property is very clean and in a great location for an easy walk to the Inner Harbor. My interactions with the management company were quick, professional, and made booking this property a breeze. The only drawback is the requirement for the mobile greeter to meet you in order to gain access to the unit. I didn't find the greeter very helpful and would have much preferred for a key lock box (or similar) to let myself into the unit. I hope to return some day, as Victoria is a wonderful city with so much to offer. We simply didn't have time to do it all! We also opted to not rent a car which worked out fine for this trip, but for deeper exploration into the city on future trips, I would recommend to have one. We enjoyed the convenient, comfortable accommodations. 3 bedrooms, 3 baths was great. The third bedroom having no windows except a sky light was stuffy & all 3 beds were very firm/hard! The two fans helped, but need at least 3 when it is that hot! Few paper towels & garbage bags, no instructions for check-out. & parking even with a Prius was a real challenge in the garage! Thank you for taking the time to review your stay. We are happy to hear you enjoyed your stay. We included garbage bags and all instructions on check-out. Check-out instructions was in your documentation and via the app service. The greeter set up a time to meet you at check-out as well. Medium to small cars are best for the garage parking. We hope to see you again in the future. Thank you for taking the time to review your stay. We are happy to hear you enjoyed your stay. We will review your comments about the pots and pans. We hope to see you again in the future. We had a number of problems when we checked in on 7/4. However over a period of two days they were completely resolved. I think that our greeter was not expiirienced with the property and it caused a number of issues. On the end thanks to the tireless efforts of Isabel we were completely satisfied. It was a lovely unit, but needed a little tweaking to make it even better. We would return. Thank you for taking the time to review your stay. We are sorry the BBQ and telephone did not work. Yes, we had a new greeter host to check you in. Thank you for giving us the opportunity to get these items working for you during your stay. We are happy to hear you enjoyed your stay. We hope to see you again in the future. We enjoyed our stay at this property. 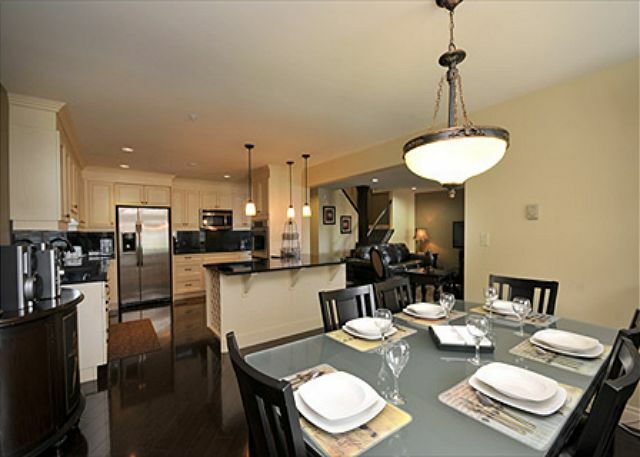 The location is fantastic - right across the inner harbour with great views of downtown Victoria. The unit had a lot of space and was relatively comfortable. There were some weird design issues on the unit (skylight in downstairs bedroom, no door in upstairs bathroom), and a number of minor maintenance items. Nothing serious, but enough to prevent a 5-star rating. However, we are confident that the management company will address these issues, and we'd definitely stay here again. Thank you for taking the time to review your stay. We are happy to hear you enjoyed your stay. Please call us while staying at the property with regard to maintenance concerns are we are quick to respond to ensure the best possible stay. All the bathrooms should have doors. We hope to see you again in the future. Our group of six stayed in this townhome for 5 days. 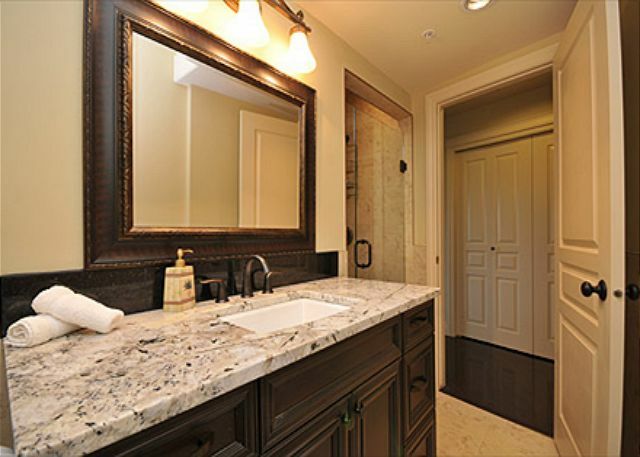 The place is finished very nicely and kept immaculately clean. 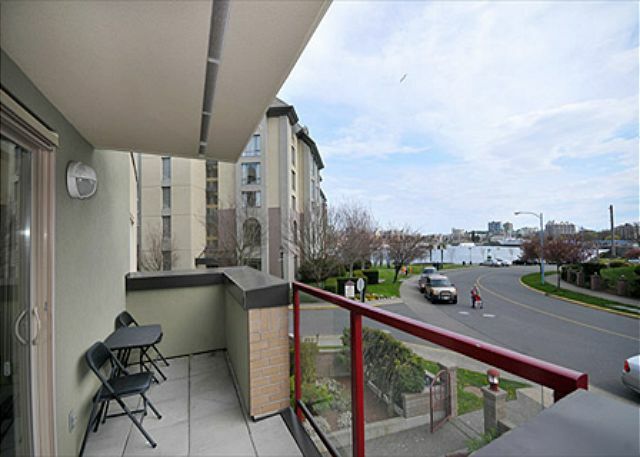 Super convenient to downtown Victoria, it's a short walk over the bridge or take a water taxi. This place was simply amazing in every way. We could not have been happier or more comfortable. The lighting is not very good in the living area. And there were a couple of burned out ceiling bulbs. It would have been nice to have a few extra bulbs. It also would have been helpful to have some cleaning supplies. When you're staying in a condo for a month, some bathroom cleaning supplies should be available. And everyone in the family complained about the pillows! 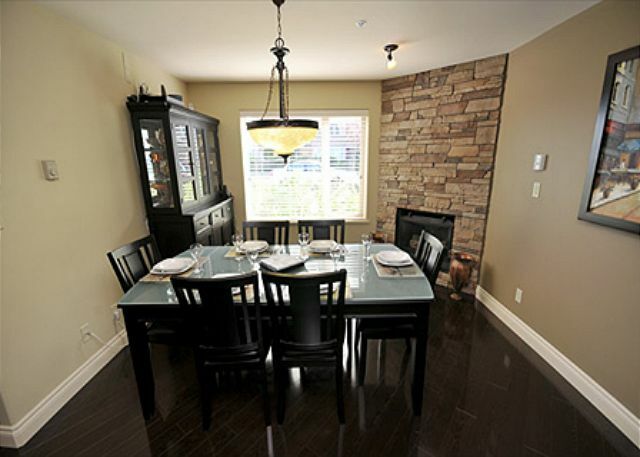 But overall, the location is great, the condo is very spacious, and handles 3 couples very comfortably. Thank you for taking the time to review your stay. We are happy to hear you enjoyed your stay. Please contact us during your stay if you are experiencing any issues at the property. We are quick to respond to ensure the best possible stay for our guests. We hope to see you again in the future. Fabulous! Very expensive but very very wonderful! Excellent location and property. fulfilled all of our needs for a short term rental. Well equipped and comfortable. More HD would have been nice. Nice condo to rent for 6 gals, however, we were disappointed that light bulbs were out, no Kleenex,broken kitchen faucet,fireplaces were not on, telephone not working for local calls, rental car had inches to get into garage.thank goodness that the owners brother lived 3 doors down! Beds were a bit on the hard side. We did love the location and would revisit. We are glad you enjoyed your stay. Thank you for your review. We addressed your concerns at the property. Always call us if there is an issue with the property, we are quick to respond. Hope to see you again. My family and I have good stay in your facility. Stayed here for a week. Toured and played golf. Bear mountain was fantastic round. 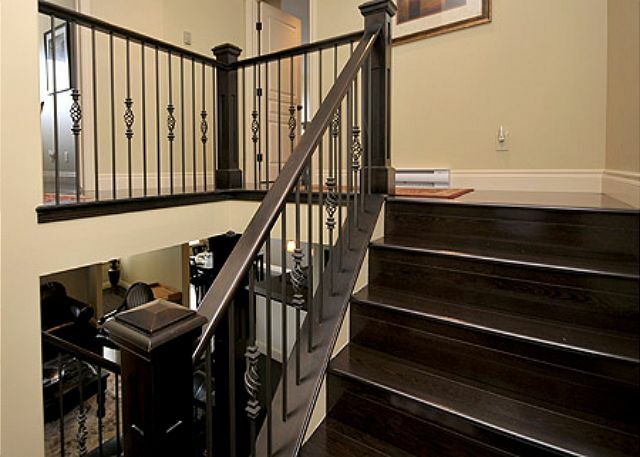 This property is unbelievably close to down town. 15 minute walk to many restaurants. Access next door to taxis for longer jaunts. Place was very clean and great for 3 couples. We enjoyed our stay in Victoria. The property is very comfortable, beautifully furnished, spacious & well outfitted with everything you need when travelling away from home. It is in a great location - quiet, great walking tracks along the inner harbor & just 5 mins easy walk to downtown. Thank you for your great review. We hope to see you again. good place to stay. Having the BBQ on the bedroom's patio is not the most convenient. And we also missed a key to close the door which gives access to the common parking lot from the apartment. And the private garages are very small (good for a smart or a very compact car, definitely not for a SUV). Thank you providing a great review of Songhees and Oceanpoint. The BBQ grill location is the only outdoor location we can use on the property for it. The garages are built for small to medium cars but your correct that large SUV or trucks will not fit. However, there is a secure visitor parkign area that can fit larger vehicles if required. Excellent location for walking downtown. Great for 3 adult couples. We are very glad to hear you loved the porperty. Thank you for the great review. Hope to see you again.